GN Solids Control is one of the world largest decanter centrifuges manufacturers located in China. From the glorious beginning of GN Solids Control, GN is devoted to become a well known and respectable leading company in the world. With the fast development, GN Solids Control has opened the Houston branch company GN Solids America and Moscow branch company GN Solids Russia. 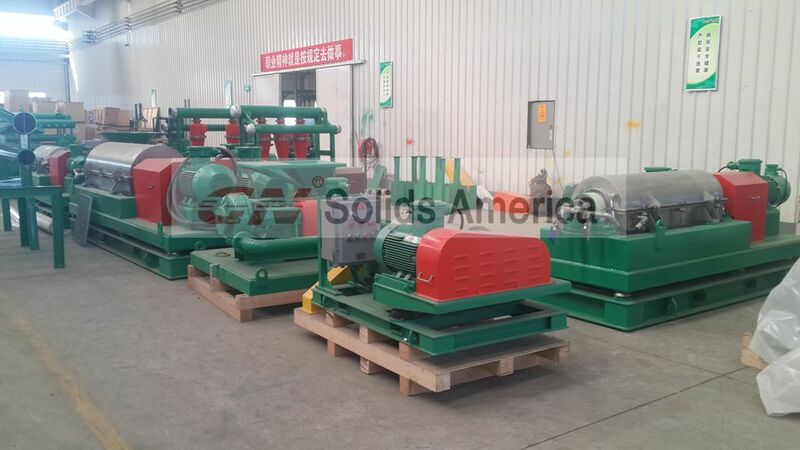 GN Solids Control is getting to known by more and more energy companies locally and globally. GN Solids Control is especially good at manufacturing decanter centrifuges and cuttings dryers, which can be used for recover barite, cut the mud weight etc. Although the oil price is going down with the complicated political or economical reasons, GN Solids Control get more and more orders due to the advantages cost effective characteristics. Now GN Solids Control is ready to open another manufacturing plant which is close to GN headquarters. In order to provide a better lead time, GN Solids Control has manufactured some decanter centrifuges and get them ready for delivery in a short period. Most of GN decanter centrifuges are stocking in GN No.2 factory. They can be delivered in a short period after assemble the motors and thoroughly tested before leave factory. GN Solids America LLC has a large warehouse in Houston, TX. Many decanter centrifuges are in stock. GN provides several different models, such as 14 inch, 18 inch and 22 inch rotating bowl centrifuges. GN has two different models including premium type and economic type to meet different clients’ demands. Now GN has some large drilling companies are oil & gas service companies keeps purchasing from GN Solids Control. GN provides solids control and drill cuttings management systems to global clients. Many large companies such as Baker Hughes, Shell are buying from GN for they OBM, SBM treating. Welcome to visit GN Houston warehouse, GN professional engineers will show you around.